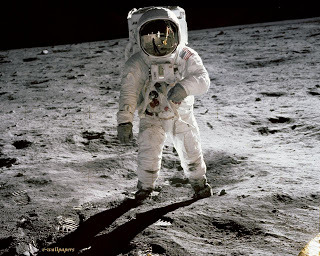 In September 1962, American President, John F. Kennedy, gave one of the best and most inspiring speeches ever made when he said, “I believe that this nation should commit itself to achieving the goal, before this decade is out, of landing a man on the moon and returning him safely to the earth.” Many an MBA class, inspirational business speech and management book has since touted this as the perfect motivational mission. But where do you start with motivating your team? It’s hard to argue with that; let’s consider this example. Let’s say you’re the head of an accounting team and looking ahead to the next calendar year. You have the monthly grind of accounting statements and management reporting ahead of you, budgeting and audit cycles. You are midway through a computer implementation that has been delayed due to problems converting the history, and you need to change the whole General Ledger to some new standards. What is the compelling cause you need to convey to get your people to perform in an inspired manner and feel motivated? I feel somewhat cynical about this statement. I had a client in the insurance industry, where all offices and spaces had large motivational posters, yet the staff plodded through their jobs like robots. There was no shortage of messaging proclaiming the common purpose, yet it wasn’t motivating the team. The issue was there was no buy-in from the employees below manager level. Start by abandoning the idea of motivating a whole team, and focus on the individuals. Simply put, if you really care about each one of them, they will really care about you. If you pay attention to their agenda, they will pay attention to yours. If you are honest with them, they will eventually be honest with you. I say eventually because it may take them a while to trust you and a new approach. This conversation does not have to get too “touchy feely”. It can be limited to the job. You don’t have to take on someone’s personal problems, but you need to address their professional ones. The only way to find out what’s on their mind is to observe them and ask open-ended questions. Notice when they come through for you and each other. Encourage them. Ask them what roadblocks they face. The feeling alone that someone notices and appreciates what you do can be enormously motivational. I was involved in a computer conversion, where the old system was a card based “automatic” bookkeeping machine, which belonged in the Smithsonian. We couldn’t convert the data – it had to be re-entered. The two women in the data entry department gamely took on this huge task and managed to convert a month’s worth of data every week until it was done. It was a year of the Olympics, so I got some ribbon and those large chocolate coins in foil to make two gold medals, which we presented to them at a staff meeting. Afterwards, I worried that the whole thing had been a little hokey but my boss said, “Look what they did with the ribbons.” Sure enough, both of them had pinned the medals up prominently in their workstations. I have written before about being on a small team with big ambitions, and I have to agree with Catlette and Hadden that putting everything you’ve got behind an ambitious project (or a “Big Hairy Audacious Goal” as another consultant calls it) energizes a team. Just make sure they feel like a team first.